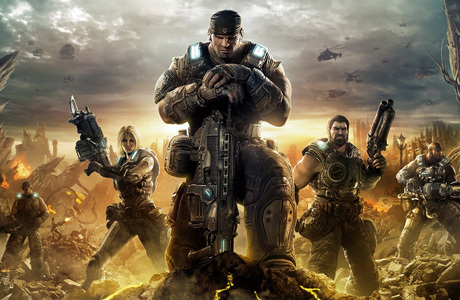 This game marked the beginning of Gears Of War science fiction saga that originally came out exclusively for Xbox 360 in November 2006 in North America, Australia and Europe. The action takes place the planet Sera that used to be a civilized planet inhabited by the humans until some unknown dreadful monsters, the Locust horder, conquered it. Sera's soldiers surrendered and one of them got imprisoned. He had to spend 14 long years in prison before he managed to escape to join the forces against the monsters. 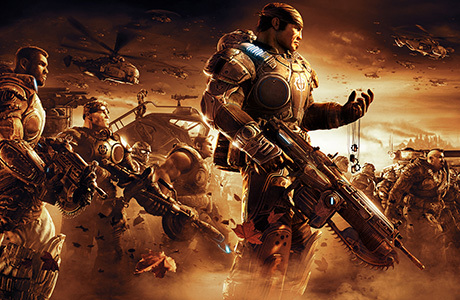 Gears of War was welcomed with generally positive reviews from critics due to its beautiful visual effects, well-thought maps and fantastic sound effects. Among the game weaknesses the lack of innovation in the gameplay and not very deep plot were highlighted by the critics. The game has undoubtedly achieved a great commercial success with over 5 million copies being sold worldwide in 2 years after its release. 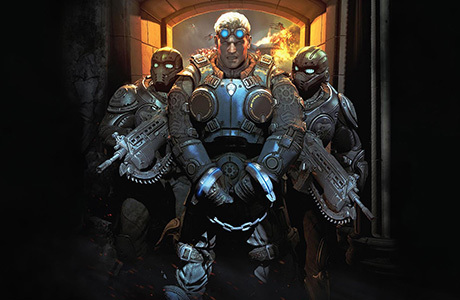 The shooter consists of 5 main parts and 30 chapters in total. The combat will be taking place on diverse and beautiful landscapes like a train in motion and regular city streets. Each chapter offers a few fierce battles between Sera's defenders and the monsters. Game developers made sure the game wouldn't become boring for advanced players and gave a choice of 3 difficulty levels. 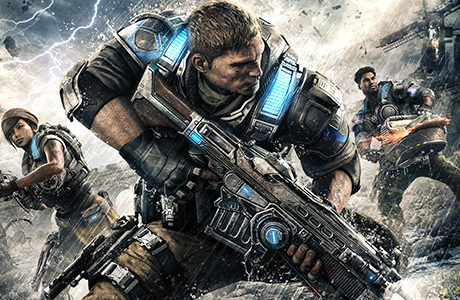 Gears of War co-op mode is pretty cool and gives an option of a split screen to the players. The multiplayer main strength is the versus mode. It offers very detailed maps that are not that expansive compared to other games but they are highly addictive and innovative. Make the Locust tremble with our advanced performance enhancing features available exclusively for the series. Rapid Fire and Auto Spot mod options will bring 2 extremely useful skills into the gameplay allowing you to shoot better and defeat more enemies by having them spotted on the map. Become unbeatable with our technology today.